Dollond was a UK-based optical and mathematical instrument company, founded in 1750 in London by John Dollond (1706-1761) and his son Peter (1730-1820). 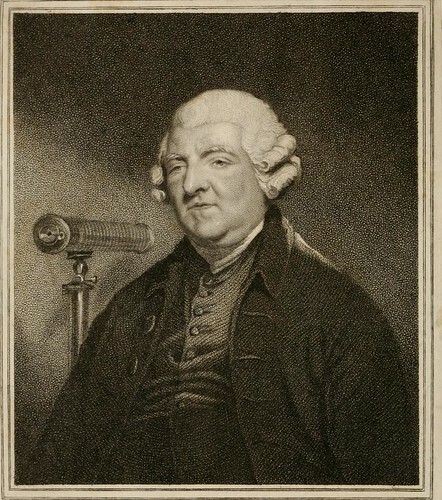 John Dollond invented one of the first achromatic lenses - patented in 1758 (if not The First, although optician George Bass seems to have made achromats, perhaps from 1729). This lens was used for the first achromatic telescope; the Dollonds went on to make several more inventions in achromatic lenses, telescopes and heliometers. Peter's nephew George Dollond (1774-1852) took over the company in 1819. Dollond's had sold Cameras Lucidae and Cameras Obscurae in the 18th and 19th Century, and sold film cameras in the early 20th. The company existed as Dollond and Aitchison retail opticians until 2009, when its owner, De Rigo, merged with Alliance Boots. Many of the shops still trade under the Boots Opticians name. ↑ Owl No. 3 with 10.5cm f/6.3 Lukos Anastigmat and Trichro shutter, at Red Bellows: specification and pictures of the camera; also shows an advertisement for the Owl No. 2.
articles on Dollond, George, Dollond, John and Dollond, Peter. This page was last edited on 16 September 2018, at 09:52.